Since 1968, Clinique has had a reputation for providing cosmetics users with gentle makeup and effective skin care, particularly through the three-step process of cleansing, exfoliating and moisturizing. Although the ingredients vary from one product to another, Clinique generously provides a guide to understanding the contents of its products. 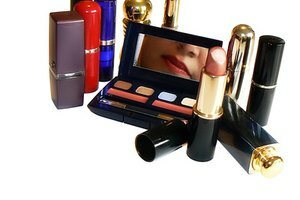 In these days of informed and educated consumers, it has become necessary for beauty companies--Clinique and others--to be upfront about the ingredients in their products in order to keep loyal customers. 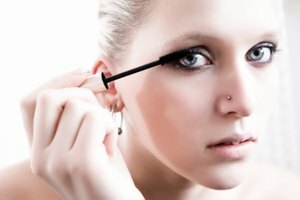 After all, studies now link additives in conventional makeup to birth defects and diseases like cancer (see Resources). 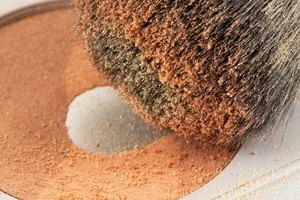 The increased demand for healthier beauty products, such as mineral makeup and those with mostly natural and organic ingredients, is proof that more and more cosmetics users are studying the effects of makeup ingredients before making their purchases. The official Clinique website states that all the company's products are allergy tested. By Clinique's definition, this means that for every potential product, six hundred people are each tested on repeatedly; if even a single one of the six hundred experiences an allergic reaction, the product will not be manufactured for public consumption. Since fragrance causes allergies in some cosmetics users, all Clinique makeup is fragrance free. Those who are prone to acne may especially appreciate Clinique--all of the company's products that are meant to be used on the face are defined as "non-acnegenic." Tests are conducted on human volunteers to ensure that the makeup does not clog pores or trigger blemishes. Along the same lines, those with sensitive eyes may be pleased to know that all Clinique products for use on the eye area are labeled "ophthalmologist tested," making them suitable even for contact lens wearers. Clinique states that the ingredients in its products are of the highest quality and that each of these is at a level of concentration that is safe for consumer use; nevertheless, if you have a skin condition--especially one that a physician or a dermatologist is treating you for--consult with your doctor or skin care specialist prior to shopping for cosmetics. Clinique's promise of the highest standards in its product testing and manufacturing processes does not guarantee skin conditions will not be aggravated with use of its makeup. After your skin care expert has provided you with a list of ingredients that are safe for you to use, Clinique can assist you with finding which of its products are best suited to your needs. This can be done by contacting the company online or by inquiring at a Clinique makeup counter at a department store. Clinique also continues to come up with new cosmetics that help treat particular skin issues. For instance, "Redness Solutions Instant Relief Mineral Powder" is advertised in beauty magazines as a lab-certified treatment that reduces redness as soon as it touches the skin, making rosacea and broken capillaries considerably less noticeable.